Welcome to a recipe to die(t) for – a recipe for sugar-free white chocolate protein bars, with vanilla and raspberries. Please don’t make this recipe if you want to have a normal protein bar experience – where you bite into the bar, think it’s OK, eat it mindlessly, and forget about it as soon as you’re finished. These bars are for those of you who like to indulge your tastebuds and treat them to glorious-oh-so-glorious healthy food. They’re the kind of bars that make you automatically close your eyes and die a little inside. They’re really good. I mean, Zeus! They’re REALLY good. The pictures honestly don’t do them justice – I took them when the sun was going down and couldn’t really wait to re-shoot them tomorrow. Trust me though, these bars are incredible. Make them. Seriously. Make them. OK? Deal? Side note: DO NOT FORGET ABOUT THE PROTEIN WIZARDRY COMPETITION! 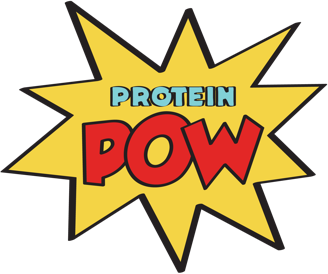 Over a dozen people have submitted an entry to this year’s Protein Wizard Competition and I urge you to do the same. Click here to find out more about it. It’s going to be an awesome comp and I hope a lot of you guys decide to play this year. You can get some really cool prizes, including a wizard’s hat! Need I say more? Step 1: Melt the chocolate in a bain marie. Step 2: Meanwhile, mix the milk, coconut flour, whey, and vanilla until you get a sort of dough you can shape with your hands into two bars (or four truffles). Step 3: When the chocolate has melted, add it on one side of the bars, put that side down on baking paper (or tin foil), and cover the other side of the bar with more white chocolate, coating the sides too. Step 4: Repeat step three for the other bar and, then, transfer both bars to the fridge for an hour to set the white chocolate. Macros per bar (out of two): 206kcals, 16g protein, 15g carbs (out of which 4g is fiber! So net carbs: 11g) and 11g fat (mostly from the coconut flour + cocoa butter).